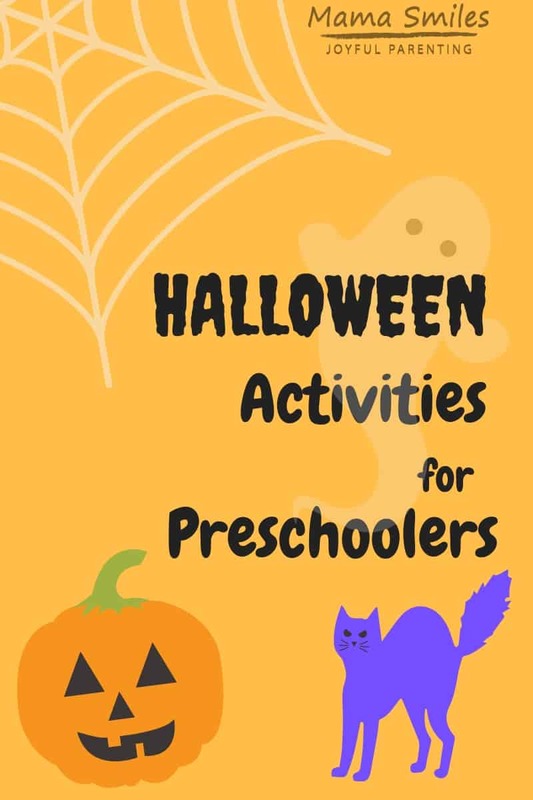 A collection of Halloween activities for preschoolers, including Halloween science, crafts, active play, book activities, and more! Check out my collection of the best hands on activities for preschoolers for year-round preschool activities! 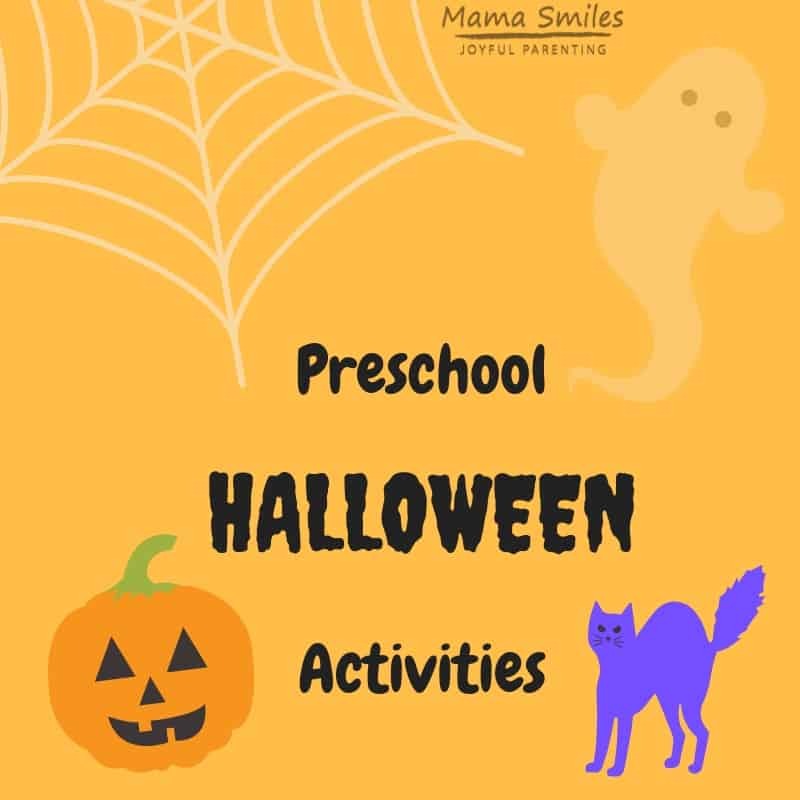 Preschoolers LOVE the less-scary aspects of Halloween, and this holiday provides plenty of learning opportunities through fun themed activities. Here are our favorites. Our Ghost Balloons Halloween Science activity feels like magic and is super accessible to preschool aged children. All you need is an empty water bottle, vinegar, baking soda, and a balloon (white works best). Our Spider Web Obstacle Course doesn’t need much space at all! Set it up on your playground or under tables indoors on cold, stormy, and rainy days! This monster carnival game is another great Halloween gross motor skill game. Broom and Cauldron Drawing Activity for Room on the Broom. I created this activity with slightly older children in mind, but I found that even preschoolers enjoy it. Halloween and emotional intelligence don’t feel intuitive to me, but I find that this holiday offers lots of opportunities to develop this skill! Trick or treating even offers an opportunity to practice social skills! Pumpkin Faces for Happiness, Sadness, and Surprise. Make a wall of pumpkins and see how many different faces you can come up with! 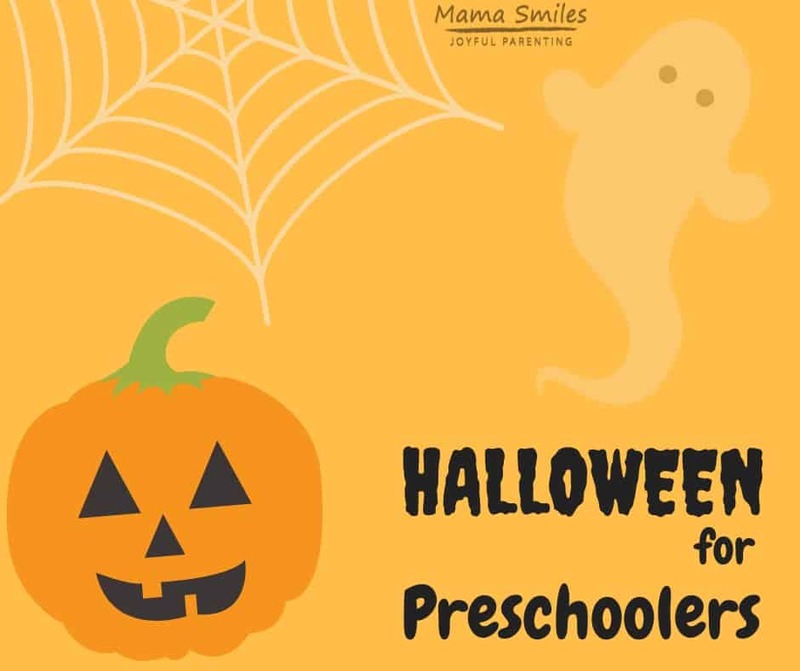 What Halloween activities for preschoolers do you love? Share favorites in the comments below, on my Facebook page, or by tagging me on Instagram. I love how you include emotional intelligence activities tied into Halloween! We just put up our Halloween decorations, and one of them was a giant spider web. I should have the kids try to climb through it without touching it. Yes! My kids want one of those giant spider webs, but I don’t want to store it when it isn’t Halloween. Maybe we should try to make one?